At Frogmore Designs we specialize in affordable website design for small business, individuals, artist or restaurants. Whether you are just getting started on the Internet or need to refresh and old website, Frogmore has an option to get you seen on the web. Our small staff of designers will give your website the personal attention it deserves. We will work with you every step of the way by going over your content and making suggestions for your website, selecting the best design that fits your needs, getting your new website up on the Internet, setting up your SEO (Search Engine Optimization), and making future edits on your website with low cost one-time only fees or a website management plan. If you are a do-it-yourself kind of person we can also give you tips and a fast lesson on how to manage your own site. We can also purchase a Domain name and get you set up with website hosting and business class email if needed. Feel free to contact us anytime for a free consultation and see what Frogmore Designs can do for you or your business. 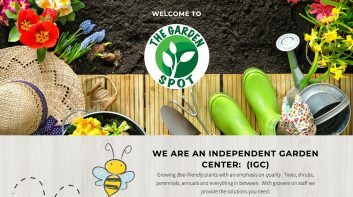 Simple one page site showcasing several photos of projects and a list of services. 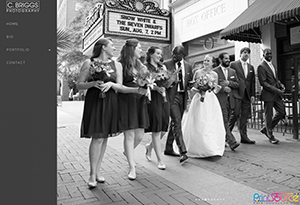 Multi-page portfolio website built to showcase the photographic talent of Caleb Briggs. 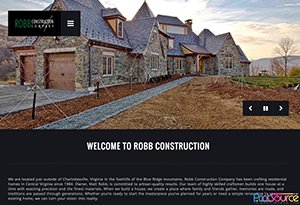 A website built to showcase the project galleries of Robb Construction. 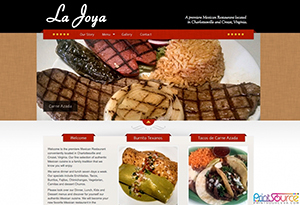 Multi-page website built to feature the restaurant’s menus and a photo gallery. Thank you for choosing PrintSource for all your Printing, Graphic Design, Promotional Products, Mailing and Display Banner needs.